Karen Chance Mercurius, PhD, the current director of alumni relations at Harvard Law School, has been selected to lead the Office of Alumni Relations and Constituent Engagement at the University of Rochester following a competitive national search. Chance Mercurius, an innovative and strategic leader with recognized experience in higher education advancement, executive board and volunteer management, alumni engagement, international program development, coaching, and organizational change and culture, will assume the role of associate vice president for alumni and constituent relations on March 18, 2019. In her new role, Chance Mercurius will provide strategic leadership and management of the University’s integrated alumni and constituent relations program, an area that has experienced significant progress in recent years. Some of the improvements include the establishment of a national Alumni Board, the development of several regional alumni networks, a reimagined Meliora Weekend experience, an innovative volunteer and class agent structure, and new career, diversity, and affinity initiatives for more than 110,000 alumni worldwide. Senior Vice President for University Advancement Tom Farrell ’88, ’90W (MS) notes that Chance Mercurius’s expertise in planning and executing alumni engagement programs for Harvard Law School and the University of Pennsylvania stood out among the candidates and identified her as the ideal person to continue the momentum at Rochester. Chance Mercurius joined Harvard Law School (HLS) as director of alumni relations in 2012 where she strategically deepened relationships with 40,000 HLS alumni globally through intellectually engaging programming and events, active clubs, and shared interest groups. During her six-year tenure, she transformed the alumni relations program through staff recruitment, training and coaching, and created pioneering traditions and intellectual programs to engage alumni through geographic regions and personal interests. She also managed the successful leadership transition of the Harvard Law School Association Executive Board through three presidents and helped to increase the number of diverse alumni board members. Chance Mercurius and her team were awarded a Gold Award in Best Practices in Alumni Relations from Council for Advancement and Support of Education (CASE) District I for the highly successful affinity-based reunion, Celebration of Black Alumni, held in September 2016. Chance Mercurius began her advancement career in alumni relations at the University of Pennsylvania where she worked for more than a decade. As senior associate director of alumni relations for their New York Regional Office, she managed domestic and international alumni relations programs representing more than 40,000 Penn alumni worldwide. Chance Mercurius received both a bachelor of arts in international relations and Africana studies and a master of science in organizational dynamics from the University of Pennsylvania. She earned two degrees from Fielding Graduate University: a master of arts in human development and a doctoral degree in organizational development and change. A dedicated alumna volunteer, Chance Mercurius has served for almost 20 years as the cochair at The Penn Fund for her class reunion, leading successful volunteer reunion fundraising efforts. 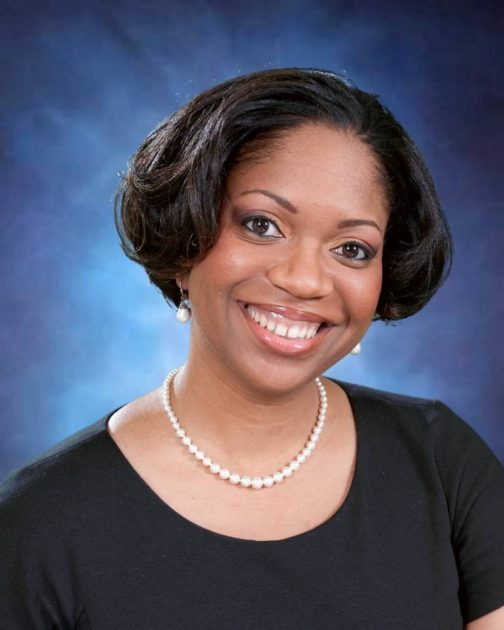 She is also a member of The Trustees Council for Penn Women, the James Brister Society at the University of Pennsylvania, and is a member of the CASE Minority Advancement Institute.